Krauser had the most liked content! Few months ahead of schedule, time to review: "Thielen could get offered something like $58M/4 in new money starting in 2021, with that offer being made in the summer of 2019." "Assuming Thielen continues to outplay his contract (safe assumption if he stays healthy), the Vikings will offer him that kind of extension next summer, which would increase Thielen's 2019 and 2020 cap hits but only modestly. His existing deal won't be torn up and replaced with one at market rates." Thielen did stay healthy and continued to outplay his contract in 2018, putting up 113 receptions for 1373 yards and 9 TDs, and being named a Pro Bowl starter at WR. The Vikings did offer him an extension of an additional 4 years beyond the remaining 2 on his existing deal, without tearing up the existing deal. The price came in a little higher than I suggested here ($64M not $56M). The contract was signed a couple months earlier than I expected, possibly since they need to sort out their cap crunch before the draft. Thielen's cap number changed hardly at all in the short term (an extra $5000 this year): http://www.startribune.com/how-adam-thielen-s-new-deal-does-little-damage-to-vikings-salary-cap-situation/508608322/ "Thielen is not going to hold out... I think his biography and career path will tend to make him unusually loyal to the Vikings." From Vikings beat reporter Chris Tomasson's account of the contract negotiations: https://www.twincities.com/2019/04/12/vikings-wr-adam-thielen-agrees-to-four-year-64-million-extension/ "Given these points, I predict that the Diggs extension won't lead to a dramatic change in the short term cap considerations for Thielen, or a Thielen hold out." Exactly. Allen Robinson and Eddie Jackson aren't playing, and probably would if it was a playoff game, so Nagy isn't exactly swinging for the fences today. The Bears are really good. Their main limitation is Trubisky, and Nagy's scheme and the supporting cast have been able to make up for that. Their defense is every bit as good as the Vikings in terms of talent. Mack is the best player on either team. They have one of the better OLs in the league. Their receivers are a little worse than the Vikings, but only slightly. Their RBs are as good or better. Their kicker is better. There are still reasonable questions as to how high the Bears' ceiling is with Trubisky at QB. They've won some big games, but all of them have been at home. They may have to win 2 road games to make it to the Super Bowl, which will be a tall order. But their defense will give them a chance. The Bears defense is legtitimately good, and will be good again next year if they stay healthy. But it’s also true that a number of their key players are having career years. Akiem Hicks has been a very good DL, famously underrated (if that’s not a contradiction in terms). This year, at the age of 29, he’s improved dramatically and is playing at an elite level (PFF grade 91.7, previous career best grade 76.6). Eddie Goldman similarly has been much more effective this year (4th career season). PFF grades him at 89.3 in run defense, where his previous best was 66.8. Roy Robertson-Harris didn’t play as a rookie UDFA in 2016, and didn’t play well last year. This year, his 3rd career season, he has 24 QB pressures, 11 run stops and a respectable PFF grade of 71.6 in a rotational role. In the secondary, Kyle Fuller was considered a very good but not great CB heading into the year. The Bears tagged him with the transition tag after not picking up the team option on his rookie deal, not the franchise tag. PFF graded him as the 34th best CB in 2017. This year, he’s 11th, and has nearly doubled his career INT total (8 INTs in his first 3 seasons vs 7 in his first 15 games this year). Prince Amukamara also has a career best PFF grade (78.0, previous best 73.3) in his 8th season. Eddie Jackson similarly was a good safety in his rookie year, and played very well in the first half of this season (2nd year of his career). He’s been absolutely on fire since midseason: 5 of his last 7 games have graded at 80+, including 3 at 90+, compared to 3 games at 80+ and 2 at 90+ in his first 23 career games. Jackson had 4 INTs and 6 pass breakups in his first 23 games, and has doubled those totals in his last 7 games. ... Some of those improvements may be due to adding Khalil Mack, making it harder for OLs to double Hicks etc, and forcing QBs to get rid of the ball even if that means challenging tighter coverage. Some of them may be due to player development with talent reaching its true level, especially for the younger players (though Jackson being a 5th round pick, RRH a UDFA, etc makes it less likely they’re destined to be that good on talent level alone). Maybe most or all of those improvements will be sustainable over the long run. But it’s also possible that at least a few of the Bears defensive stars from this year will revert to their career level of play at some point, and their defense will take a step back from great to merely excellent or very good. Cousins deserves some criticism, but the game winning drives stat isn't a strong argument against him. 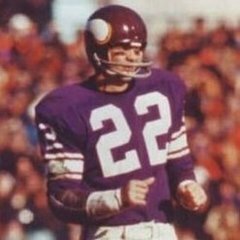 Cousins did lead a 4Q comeback this year, where he put up 200 yards passing and 3 TDs to tie the game at Lambeau -- probably the biggest late game comeback in recent Vikings history. He followed that up in OT by what could've been 2 game winning drives, but Carlson missed two FGs, including a 35 yarder, that would've won it. Most of the Vikings losses this year weren't even close heading into the 4th quarter. They trailed the Bills 27-0, the Rams 38-28, the Saints 27-13, the Bears 14-3, and the Patriots 24-10. The only game of those they had a chance to tie was the Rams, where Cousins fumbled in the last minute at midfield. Vikings have had a few similar fumbles on last minute drives with a chance to tie under Zimmer, including Bridgewater twice in 2015 (Broncos, Cards) and Thielen in 2017 (Lions). The only other game where Cousins could've been expected to come back was in Seattle, where they trailed 6-0 in the goal-to-go situation early in the 4th quarter, and 6-0 attempting the FG (blocked illegally by Wagner) a few minutes later, and 14-0 when Cousins fumbled, returned for a TD. So he's 1 for 3 in opportunities this year, which isn't great but not terrible either. Career wise, Cousins has 9 4th quarter comebacks and 12 game winning drives, in 72 starts. Keenum by comparison has 6 4QC and 10 GWD, in 53 starts. That's basically the same rate as Cousins on both of those numbers. Last year, Keenum was credited for game winning drives in these games: FG with 12 seconds left to beat the Bears 20-17. Drive started at the Bears 28 after an INT by Harrison Smith, covered 20 yards from there. Keenum went 1/1 for 10 yards, McKinnon had 4 carries, and the Bears took a defensive holding penalty on a 3rd down when they got a sack. TD with 14:15 remaining in the 4Q against the Rams, to go up 14-7 (final score 21-7). Drive started at the Vikings 29, consisted of 6 run plays including Murray gaining 25, and 5 short completions by Keenum (longest 8 yards), the biggest being a 3rd and 4 conversion to Rudolph in the red zone that set up Murray's TD. TD pass to Rudolph with 14:56 remaining in the 4Q against the Falcons, to go up 14-9 (also the final score). 89 yard drive with 6 completions and 9 runs including 4 carries in a row by Murray from the Falcons 24 to the 6, which set up the TD. This was a 4QC as well as a GWD. TD pass to Diggs to beat the Saints, the Minneapolis Miracle The only one of those games that could be considered clutch QB play was the Miracle, and I'm not sure that wasn't as much luck as moxie or skill on Keenum's part. Kicking a FG after a turnover inside the opposition's 30 in a tied game, and going ahead in a tied (Rams) and a close (Falcons) game with over 14 minutes left isn't exactly the QB carrying the team to victory -- in both cases, the defense had to make multiple stops to hold the lead. The 2018 Playoff Hunt is on! Amukamara isn’t better than Waynes. Amos isn’t better than Harris (Sendejo hasn’t played for a couple of months now). The advantage the Bears have in the defensive backfield is Fuller > Rhodes given that Rhodes is terrible this year. For their careers, Rhodes is the better player. Mack is even better than Hunter, that’s the main reason the Bears DL/edge is better than the Vikings. Joseph and Richardson are as good as Hicks and Goldman. Floyd isn’t as good as Griffen except for EG’s mental health issues this year. Bilal Nichols and RRH are good but no better than Weatherly and Tom Johnson. The Vikings DL depth is better than you apparently understand. The Bears pre-Mack-trade were worse in the front 7 than the Vikings. After acquiring Mack, they’re better. But not by much. Cousins is pretty clearly better than Trubisky. I'm relatively high on Trubisky, but he's still a very inconsistent passer who's getting a lot of help from his coaches and supporting cast. The Vikings top 2 WRs are way better than the Bears. TE is a push. RB, the Bears are better but not by much. The Bears OL is a notch or two better than the Vikings, but a lot of their effectiveness comes down to coaching/scheme, and Trubisky makes them look good by scrambling. The Bears DL is better than the Vikings, but the difference isn't huge. LBs are a push. The Vikings DBs are just as good as the Bears, would be better if Rhodes wasn't having a terrible year. Bears have been better this year thanks to coaching/scheme on offense, takeaways on defense, and a favorable schedule that saw them play all of their hardest games (Pats, Rams, Seahawks, Vikings) at home. Their road schedule has been candy: Packers (1 point L, Rodgers missed part of the game due to injury) Cards (2 point W in what might be Bradford's last career start) Dolphins (OT L vs Tannehill) Bills (blowout W over Peterman) Lions (7 point W on a short week, vs Stafford) Giants (3 point L, Chase Daniel vs Eli) Niners (5 point W over Mullens) The Vikings will be the first team the Bears have played on the road with a winning record this year. The teams they've beaten on the road have 3, 4, 5 and 6 wins, and they've lost against teams with 5, 6 and 7 wins on the season so far. Contrast that to the Vikings, who've played 5 road games against teams with 8 or more wins. The Bears are a legitimate contender, especially if they end up with 2 or 3 home playoff games. I've been high on them all year (in our Bears thread, I predicted ahead of week one that they'd win 10 games and contend for the division). But they've had a charmed season, much as the Vikings did last year. Their talent level is very good, but it isn't head and shoulders ahead of the Vikings, or the other good teams in the NFC (the 6 teams in playoff position plus the Eagles). If the Vikings play well on Sunday, they'll win. But I won't like their chances in a rematch the following week at Soldier Field. Playing conservatively on the 1st drive made perfect sense. The Lions were never going to win that game unless they got a score or two on defense, or at least a couple of short fields. So they ran up the middle twice and threw a quick out, then punted. The second drive died with Diggs’ drop on 2nd down followed by Cousins audibling to a run on 3rd and 6. I don’t like the audible there but they did have favorable numbers in the box. Elflein lost a one-on-one block with the DT and the slot corner came in and cleaned up. 3rd drive was a checkdown to Murray for 2 yards (off playaction IIRC), a run up the middle on 2nd and 8 for no gain, and then a sack on a corner blitz where Cook leaked out of the backfield without picking up the blitzer. 4th drive was an outside run that lost a yard, a sack on 2nd down where Cousins took a short drop, didn’t throw to his initial read, and then got sacked as Reiff lost to an inside move, followed by a give up draw play on 3rd and 18 from the Vikings 14. 5th drive was 69 yards while overcoming 2 holding calls and a 3rd and 17, for a TD. ... Playcalling wasn’t a big problem early in the game. 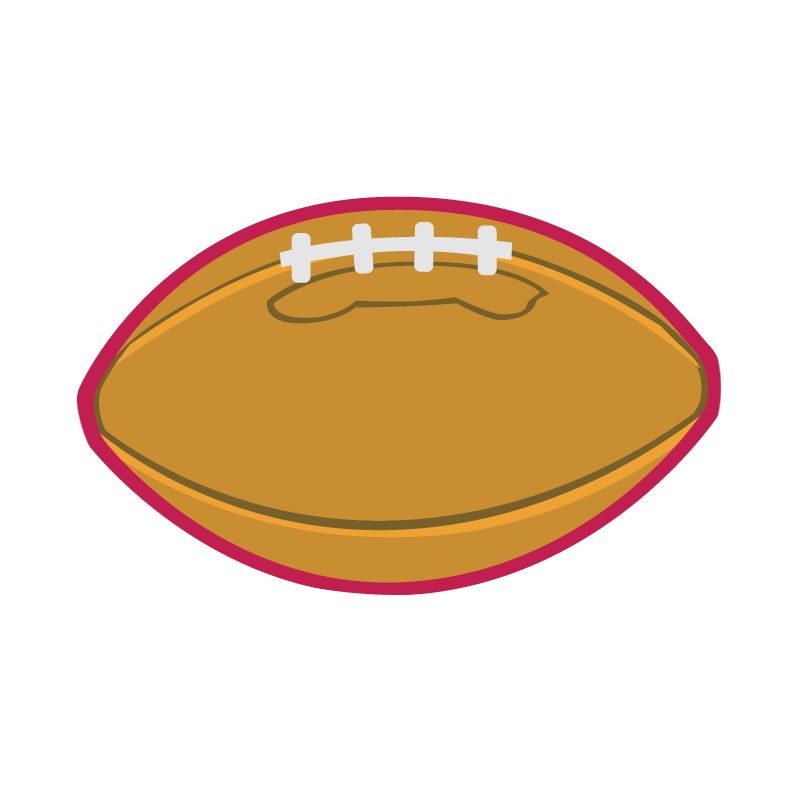 I didn’t like Cousins decision to audible on 3rd and 6, and I wanted him to get rid of the ball on that quick drop that led to his second sack. I’d have to see the A22 but I wonder what the downfield targets looked like when he checked down to Murray on the 3rd drive. Diggs was at fault for his drop, and Cook for failing to pick up a blitz. The OL didn’t get any push on the first few run plays, and Reiff gave up a quick sack. The only decisions you could fault were the very conservative first drive and the run on 3rd and 18, but I think those are both defensible given the situation, early in a close road game against a mediocre opponent, deep in their own zone. How did our defense become so offensive?? Even if Richardson is retained, I think DT will be fairly high on the list of needs next year. Linval’s play took a step back this year, and he’s 30 now. Tom Johnson won’t be back, Jaleel Johnson has been better but still only OK and Jalyn Holmes never saw the field at DT, only DE. If Griffen will accept a pay cut in return for more guaranteed money (only $1.2M dead money left on his extension, so maybe knock his cap hit down to $8M for 2 more years), they can go into 2019 with very good depth at DE: Hunter, Griffen, Weatherly (last year of his rookie deal), Bower (last year of his rookie deal), Odenigbo and maybe Holmes if he’s moving back to DE. Could add another day 3 pick to that group but there’s no pressing need there. Hopefully one of the tweener DL (Holmes, Odenigbo, Mataafa) can step up as a nickel pass rusher and rotational 3 tech and take Tom Johnson’s spot. Otherwise that’s the hole that needs to be filled, and the need at DT is especially bad if Richardson moves on. The Texans have been really good: only 4 losses on the year, all by 7 points or less, and winners of 10 of their last 11. They have a very good chance to beat the Eagles. It’s important for the Vikings that they do, because if Philadelphia wins today, they’re very capable of winning in Washington next week, and getting to 9-7. The Eagles at 9-7 would knock the Vikings out of the playoffs unless they win both in Detroit and vs Chicago and get to 9-6-1, or unless the Seahawks lose out vs the Chiefs and Cards and drop to 8-8. If the Bears win in SF today, they’ll be playing in week 17 for a chance at the 2 seed, which they get if the Rams drop either of their last 2 games (Cards, Niners) and Chicago wins out. So the Vikings will be facing the Bears starters in week 17, and even if they beat Detroit, they’ll likely need to win that Bears game to get in unless the Texans beat the Eagles today. I say it isn't a realistic expectation, you say it isn't super likely. Obviously if you have a very high grade on a tackle that falls to your pick, you take him. BPA is always a good strategy (though I'll point out that same strategy is why they drafted Hughes this year, triggering so much criticism about "neglecting the OL"). It doesn't matter if I'm open to the possibility or giving up on something, I'm not making any decisions on draft day. I'm just trying to imagine what Spielman will want to do. I don't think finding Reiff's replacement will be on Spielman's top 10 list of priorities for this offseason, assuming he finishes the year healthy. He's a good LT, he's not overpaid, and he just turned 30. No offense, but I'm not impressed with the eye test of some guys on a message board vs PFF systemically grading every player on every play with multiple observers. Compton has allowed a couple of quick sacks by missing a couple of blocks (Buckner in the first game, Donald in the Rams game, off the top of my head). Those mistakes tend to stick in the memory, and can have an undue influence on our appreciation of the rest of his season. The expectation coming into the year was that the Vikings OL would struggle and Compton would be the culprit. The OL has struggled, and Vikings fans have been complaining about Compton all year. But the fact is that Elflein has been the weak spot. Compton has actually been pretty good. If you have a chance to draft a top 10 LT with the Vikings pick toward the end of round 1, sure. But that's not a realistic expectation for a pick that high, and they do have other needs for that pick (replacing Barr and/or Richardson if they leave, finding a difference maker at TE, drafting a starting RG). My comment about Reiff's age wasn't in reply to you. Foster isn't going to sign a one year stopgap deal when he's a top 10 starter in the league. Only way to attract that kind of player is to pay a premium salary and offer term. He isn't being paid like a top 5 QB. Adjusted for the cap at time of signing, his contract is something like 10th-12th in the league, comparable to Carr, Garoppolo and Stafford. He's paid noticeably less than better QBs who've signed contracts since (Rodgers, Ryan). As the other QBs come up for extensions (Wilson and other veterans, Wentz, Goff and other young QBs), his contract will slide down the list. The fact that Cousins' contract was fully guaranteed isn't worth worrying about. He could've signed a 5 year deal that would've effectively been fully guaranteed for 3 years, and the Vikings would've been in the same situation, making a 3 year commitment. No franchise QB is going to sign a UFA deal that allows him to be released or traded any sooner than that, anyway. I wouldn't leave Cousins off the hook for some of his poor play. He was bad in the Patriots game and terrible in the Seahawks game, and he's made too many dumb mistakes with the turnovers. But I do think he was put in a bad situation with the scheme, play calling and OL. If Stefanski can continue to get the offense back on track, I still think Cousins' ceiling with this team is considerably higher than anything we saw from Keenum, and the only realistic chance this team has of winning a playoff game. Slauson will be 33 in February and hasn't been a starter since 2016. He's not much better than Compton. Foster will be 33 in January. He's a very good guard but I can't see the Vikings offering him a long-term contract at that age. Compton won't sign too cheap after starting a full season and playing well, but hopefully they can keep him for something close to the RFA money Easton was getting this year ($3-4M) I'm projecting Isidora as the 2nd backup at guard behind whoever the veteran swing IOL backup is (Brett Jones?). That's appropriate, he's good enough to be in that role. Elflein will be the starter next year. He's the main problem with the OL this year, but I think he'll get one more year with (hopefully) a healthy offseason to try to live up to expectations. It would be crazy to draft a LT in the first or second round with Reiff signed for 3 more years. Reiff just turned 30, which isn't old for a tackle. He has the 11th highest cap hit at his position next year. No need to replace him for at least 2 years.